The Golden Spatula Institute is a joint student-and-faculty group at Kirkwood Community College in Cedar Rapids, Iowa. We present a Golden Spatula award (a certificate and gold-painted spatula) annually to recognize the distinguished achievements and services by organizations and individuals who use a spatula in comedic, educational, or other endeavors. 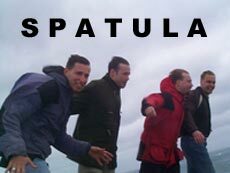 To submit a candidate for 2008, please e-mail ckiessel@goldenspatula.net a 500-word or less description of an organization or individual who uses a spatula in an innovative, educational, comedic, or other purpose. 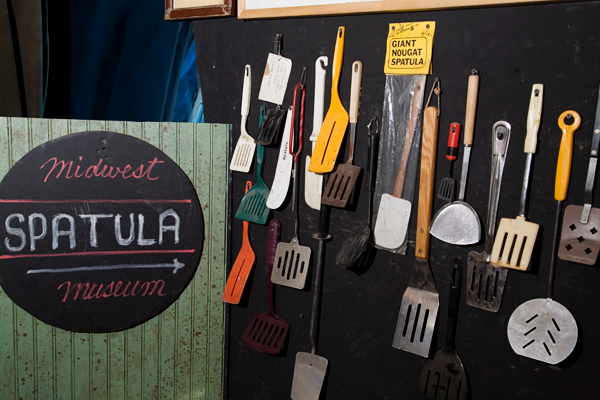 Why does the Golden Spatula Institute exist? It all started in 1989 with a little movie called UHF. In the film, "Weird Al" Yankovic plays George Newman, a "daydreaming loser", whose uncle wins a faltering UHF television station (Channel 62) in a poker game and reluctantly puts George in charge, along with his friend Bob). Among its employees is a scientist/studio engineer named Philo and a spirited news anchor/receptionist named Pamela Finklestein. Through a series of hilarious skits and actions, Channel 62 becomes the most popular television station of the area. 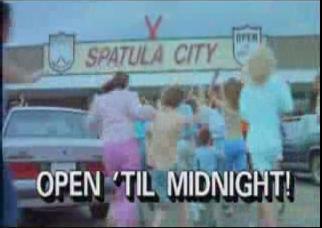 One of the most memorable skits is Spatula City, a commercial for a store that sells nothing but spatulas. As the fall semester started in 1989, two sophomores (Josh Farrow and Jacob Briscoe) thought it would be funny to send "Weird Al" Yankovic a golden spatula as an award for his movie, and so they did. The next fall, their mutual friend Alice Nickolai, partially inspired by their spatula obsession, wrote a student play that featured a wrathful spatula predominately. It performed to good reviews. Josh and Jacob created another Golden Spatula award for Alice. 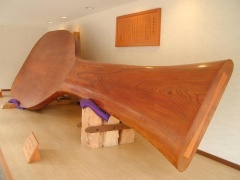 Soon, the Golden Spatula became known by all students and staff at Kirkwood, and the Golden Spatula Institute was born. No longer limited to the biased opinions of Josh and Jacob, this student-faculty group expanded to include anyone who used a spatula for the betterment of mankind. 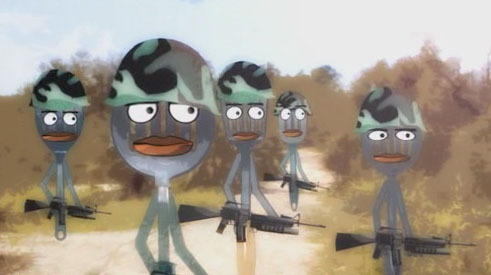 In 2000, as the number of positive spatula uses dwindled, the criteria expanded to include any comedic, useful, or innovative use of a spatula by any organization or individual. Sep 15 2007: We have our own domain name now! www.goldenspatula.net! 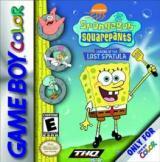 Sep 12 2007: The 2007 Golden Spatula winner is Tom Lenartz of Grand Rapids, MI! His award will be shipped immediately. 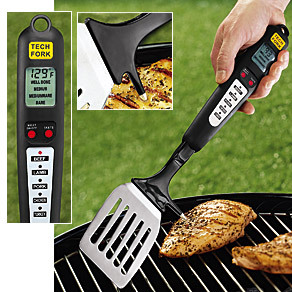 Sep 10 2007: The website has been redesigned in anticipation of the 2007 Golden Spatula winner. 2007 Tom Lenartz Motivating employees through spatulatastic threats. Copyright ©1989-2007 Kirkwood Community College. All rights reserved.